Here at Elite we are always looking to save you money. We can offer a cost effective solution for moving your whole house contents or just a box or a suitcase to your intended destination. We can place a container at your residence and you the customer then loads the container with your household effects, in doing so you can make quite substantial savings in shipping your items in this way. We can offer this service to you to destinations worldwide. 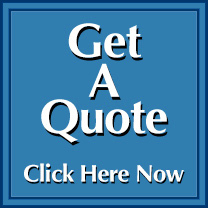 Please feel free to call us and we will be happy to talk you through the process and discuss what options will suit your requirements; you will be amazed in the savings you can make. JUST A BOX OR SUITCASE? For those of you who don’t need the use of a full container, we have a service where we can ship your items as a part container load also known as groupage or LCL (less-than container load). We can offer a service to collect the items from your door or you the customer can arrange to deliver the items yourself saving you money. The goods must be packaged up ready and suitable for export we will then either ship your goods to a depot located near to your place of destination, where you will clear customs and arrange to then collect the items yourself or we can arrange for them to be shipped right through to your door, customs cleared. We can also ship your items by air, for those more time sensitive movements please go to our air freight page to learn more about this service or please feel free to call us to contact us to discuss what options you have available, we can give you a price or if preferred fill in the online quote form; we aim to give you a service to meet your needs. If we have not arranged to ship your items to your door then you will need to check into the costs that you may pay once your goods arrive. Please call us and we will be happy to advise or put you in touch with the right parties who will give you the information you require. It is important that you always check that you are able to send the goods into the destination country, if you are not sure, ask and we can put you in touch with the relative authorities who will be able to answer your question.